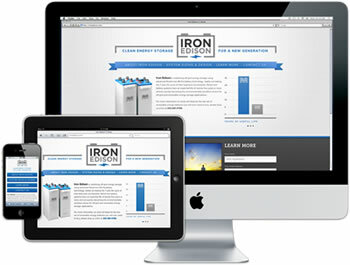 Mobile Webdesign is something that I heavily promote to all of my customers. The market has changed so much in the way that we view our web content. Users are not only visiting our websites through their traditional machines like laptops and desktops, but more so on mobile devices such as iphones and many different tablets. Take a look at your website from your mobile phone right now. Check out this really cool tool that Google uses to check if your website is mobile friendly. When viewing your website on your phone for example, is it small? Like do you have to scroll and pinch zoom to see your content? Are there elements of your site that aren’t even visible on your phone or tablet such as flash content? If yes, then the consideration to update your website should be moved to the critical state. We no longer visit these sites from traditional methods. Its all about the mobile end. All websites that I build are 100% mobile friendly. Look at my site on24web from your mobile device. Take a cruise through the pages, and see how easy it is to navigate from your mobile device. If you currently have a website that isnt mobile friendly or the official name, “Responsive”, contact me today and I will gladly take a look at your site, no charge and give you what I feel is the best score you could get. Remember, your website is your best marketing tool, hands down! No brochure will ever beat it. Make an investment in your business with mobile ready webdesign by on24web.